Weekly Photo Challenge: Infinite | Oh, the Places We See . 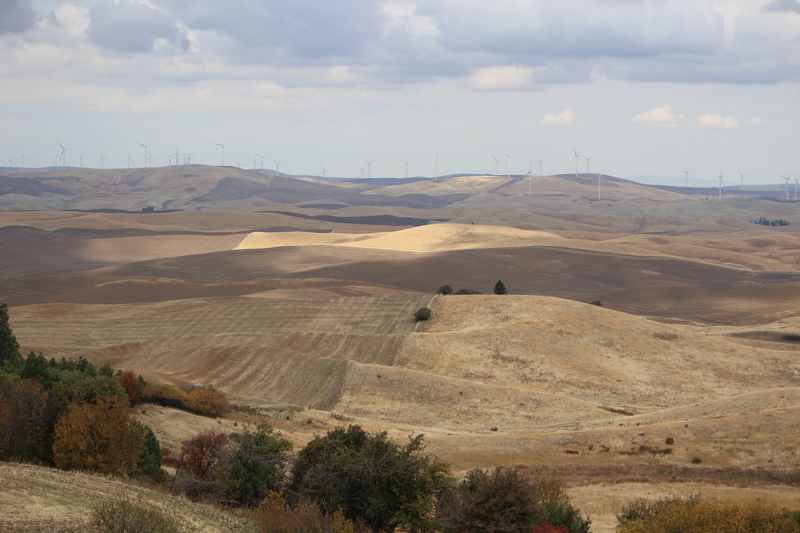 . .
As we wrap up a trip to the Inland Northwest (touring parts of three states — Montana, Idaho, and Washington), one area epitomizes this week’s WordPress Weekly Photo Challenge: Infinite — The Palouse. The Palouse is a major agricultural area spanning parts of Washington state and Idaho. With its rolling landscape planted with wheat, barley, quinoa, hay, and legumes, the land beckons us to view it as art: contoured beds of rich golden colors overlapping swirls of freshly tilled rich soil. Occasionally, weathered red barns nestle into the folds. And green harvesters roll along pulling their forked metal fingers through the land. 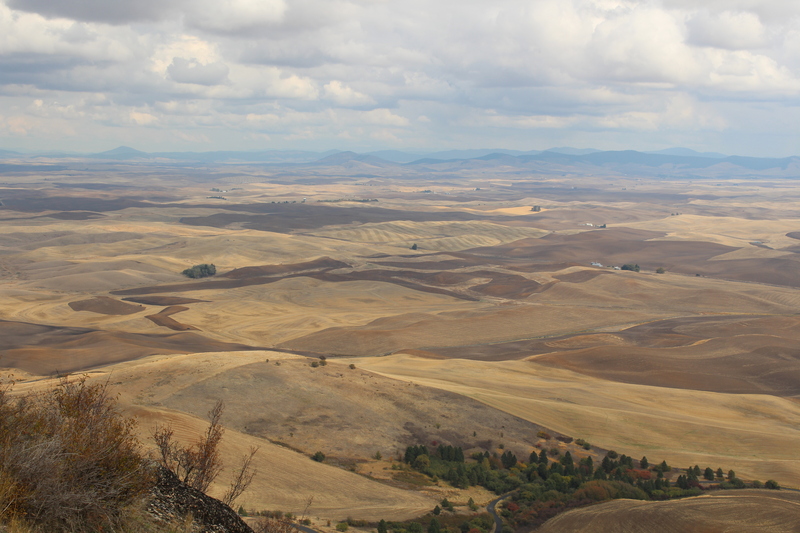 From the top of Steptoe Butte: yellows, tans, and browns of The Palouse roll into the horizon. 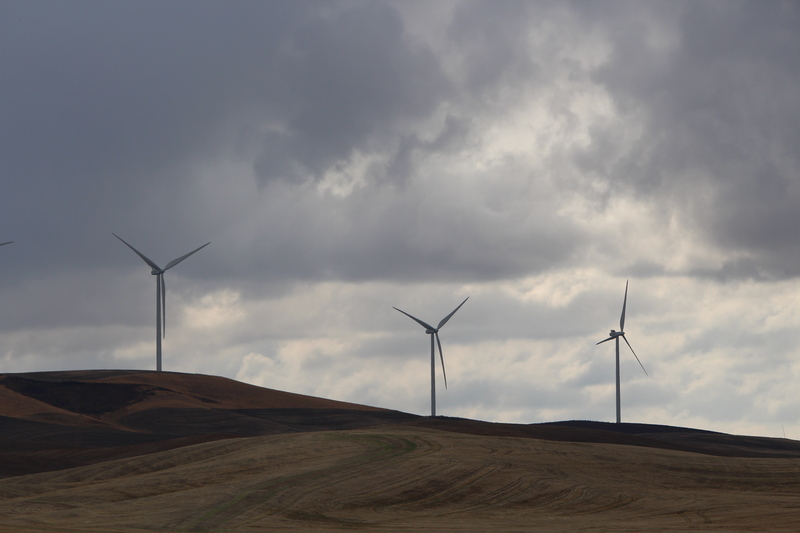 This entry was posted in Idaho, Photography, Travel, Weekly Photo Challenge and tagged postaday, Steptoe Butte, The Palouse, Washington, Weekly Photo Challenge, wheat fields, wind farm. Bookmark the permalink.